The Convention saw over a thousand Christians gather for a time of fellowship, learning and celebration. Many Indigenous people came from communities across the Top End. Bible readings and songs were in several Aboriginal languages. The main speaker for this year’s Convention was BCA’s Indigenous Ministry Officer Neville Naden. Neville gave four compelling talks on the faithfulness of God, God’s plan for His creation and His people as revealed in the Bible. The talks challenged listeners to reflect God’s image in a way that shows His existence and glory to the world. BCA Field Staff Bruce Chapman and Topher Hallyburton helped lead the youth and children’s programs. As the featured organisation, BCA had four mission slots on the main stage. Attendees heard about the ministries of Neville and Kathie Naden as well as the Chapmans in Darwin, the Slacks in Katherine and the BCA Nomads program. The Nomads had a greater role than just being introduced on stage. A team of eleven (Faye Donaldson, Lesley Richards, Guy and Sue Freeman, Val Ishri, John and Sue Oakey, Bob and Marion Witten, John and Annie Schipper) made a great contribution up front and behind the scenes. 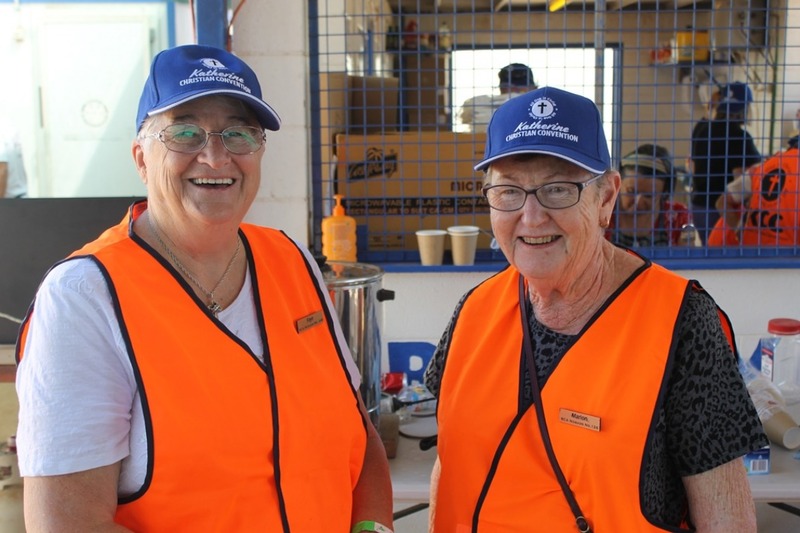 They served by cleaning the food preparation and canteen area, helping with welcoming and registration, serving tea, coffee and food, assisting with transport and did countless other jobs that made the weekend such a success. BCA hopes to send a Nomad team to the 2019 Convention (4–5 May). If you want to find out more about how you can be part of the ministry of BCA Nomads visit bushchurchaid.com.au/nomads or contact the BCA office in your region.